Look, we all know by now that smoking is bad for our health and the health of those around us. Smoking is the No. 1 cause of preventable death and disease in the U.S. But stomping out a cigarette habit for good isn’t as easy as some may think. It’s been said that nicotine is the most addictive substance on the planet. Because of nicotine’s addictive nature, the first step in quitting smoking needs to be understanding your relationship with it. It can be different for everybody. Addiction is not only physical. It also has emotional and psychological aspects. 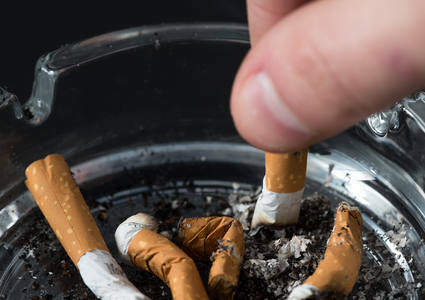 It’s easier to stop yourself from picking up a cigarette when you understand what triggers you to pick one up in the first place. Ask yourself, what makes you want to smoke? Identifying your personal triggers can help you develop simple strategies to avoid or diffuse them. When you recognize a trigger, write it down. Be sure to include details like time, the intensity of your craving, what you’re doing and who you’re with. Knowledge is power when it comes to formulating a diversion plan. As a health care provider, it’s not likely that I’m going to be able to personally sway you to quit smoking. Most people know that smoking carries incredible health risks, and they do it anyway. So what will influence you to quit? Wanting to see your child graduate? Having a granddaughter tell you she doesn’t like the way you smell? Paying a higher rate for health insurance? Finally realizing that lung cancer is a real risk? Whatever your motivation is, find it and hold on to it. Keep it as a close reminder that will see you through your toughest cravings. Quitting smoking doesn’t mean switching to vaping. Studies have found dangerous, lung-destroying chemicals in the liquids used in electronic cigarettes and other vaping devices. E-cigarettes were originally marketed as a safer way to smoke and an option to possibly help smokers quit. Unfortunately, this has not been proven. 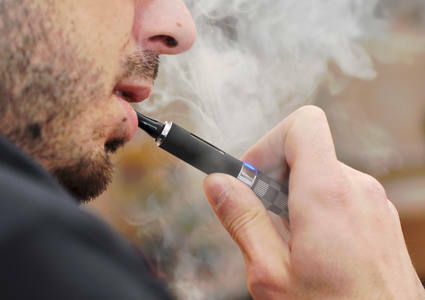 Harmful substances such as diethylene glycol (commonly used in antifreeze) and nitrosamines (many of which are carcinogenic) have been found in the vapor of some e-cigarettes. There are a lot of pitfalls and lot of bad information on the internet about things that can help you quit smoking. That’s why it’s important to speak with your health care provider about evidence-based smoking cessation aides and programs that can be the most helpful for you. You want to choose a product or program that will best suit you. If one method fails, that doesn’t mean they all will. Work closely with your Methodist Physicians Clinic provider to discuss coping strategies for your cravings.